We have been friends for some time now and we have learned many wonderful things from our study of God's Word. This lesson is about salvation and rewards. We want to understand clearly what God's Word says about how we are saved. We will also learn about the wonderful rewards which we can earn after we are saved. But first, may I ask you a personal question? It is the most important question in the world. It is so personal that only you can answer it. Let me ask it another way. If you were to die tonight and stand before God and He were to ask you, "Why should I let you into My Heaven? ", what would you say? Perhaps you would say, "I haven't been so bad. I've been as good as most other people." Or you might say, "I always went to church." Again, you might say, "I did a lot of good things for other people." If you think you would say anything like the above answers, you could be making a terrible mistake. "But why?" you ask. "Aren't these things good?" Yes, they are, but the Bible says that no one will ever get to Heaven by doing good works. No matter how hard we try, we can never be good enough to be saved. Having Christian parents will not save you. 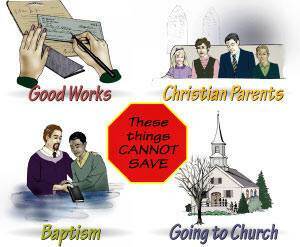 Going to church and giving money to the church will not save you. Doing good deeds will not save you. Trying to keep the Ten Commandments will not save you. Being baptized and joining the church will not save you. These things are good, but the Bible says, "a man is not justified by the works of the law…" (Galatians 2:16). "For by GRACE are you saved through faith; and that not of yourselves: it is the gift of God; Not of works, lest any man should boast…" (Ephesians 2:8, 9). What is grace? Grace is something God does for us because He loves us. Because God loves us and wants us to be saved, He has provided a wonderful salvation for us. Now in the next few seconds you are going to read one of the most amazing statements you have ever read. Eternal life is a free gift! That's right—it is a free gift. Eternal life in Heaven is the most wonderful thing any person could have. Yet, according to God's Word, it is a free gift. The Bible says, "The wages of sin is death; but THE GIFT OF GOD is eternal life through Jesus Christ our Lord" (Romans 6:23). How long does it take you to receive a gift? Just a moment of time. When someone gives you a gift, you reach out and take it and it is yours. 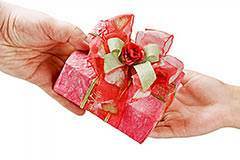 You do not have to work for a gift, and you do not have to pay for a gift. All you have to do is receive it and it is yours. You ask, "But how can I receive the gift of eternal life?" 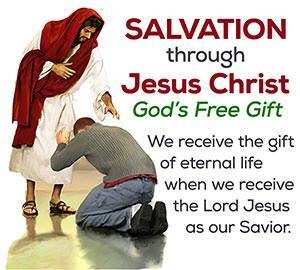 You receive the gift of eternal life when you take the Lord Jesus as your Savior. Eternal life is in a Person—the Lord Jesus Christ. When you receive Him, you receive eternal life. 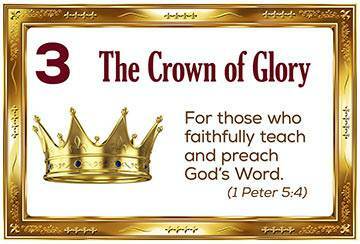 The Bible says, "…God has given to us eternal life, and this life is in His Son. He that has the Son has life [eternal life]…" (1 John 5:11,12). But you say, "Is it really possible for me to know for sure that I will go to Heaven when I die?" Yes, it certainly is! If you have Christ, you have eternal life. You know that you have eternal life because God says so in His Word. The Bible says, "These things have I written unto you that believe on the name of the Son of God; that you may know that you have eternal life…" (1 John 5:13). If God were to ask you, "Why should I let you into My Heaven?" you could reply, "Because Jesus Christ is my Savior. He died for my sins. Your Word says that I have eternal life." Remember, salvation is a gift. 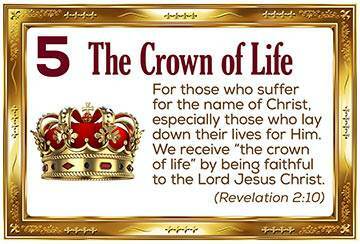 You receive eternal life as a gift when you take the Lord Jesus as your Savior. Now, let us think about rewards. 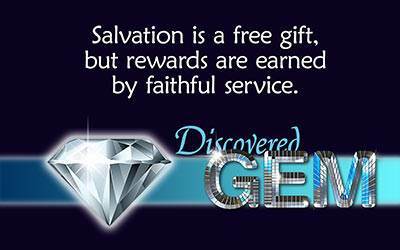 Salvation is free, but rewards are earned. 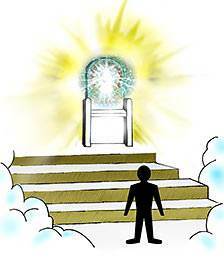 We have salvation now, but rewards will be given to us when we get to Heaven. Remember, salvation is a gift, and you have it now. 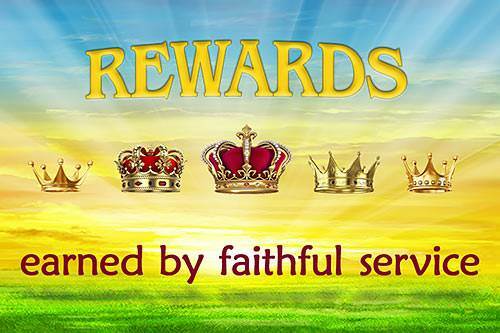 Rewards must be earned, and they will be given to us when we get to Heaven. We earn rewards by faithfully serving Christ. Those who have been saved may earn wonderful rewards by the work they do for the Lord. What happens if we do not live for the Lord? If we live for ourselves and do not serve the Lord Jesus, we will not receive any rewards at all. Instead, we will be ashamed when we stand before the Lord. Perhaps you are saying to yourself, "I want to live a life that is pleasing to the Lord, but how can I know whether or not I should do a certain thing?" We should see what God says about it in the Bible. For example, God tells us that we should not curse or lie or steal or have unforgiveness in our heart toward someone. So we know that we should not do these things. What about those things that are not mentioned in the Bible? In this case we should ask ourselves, "Would Jesus like to see me do this?" If you think that He would not like for you to do it, then don't do it. What will happen to the child of God who continues to do things that are not pleasing to God? God will chasten (spank!) him. A good father chastens or corrects his child when he does wrong. Does he chasten his child because he hates him or because he loves him? He does it because he loves him. Our Heavenly Father is a good Father. He loves us too much to let us go on in disobedience, ruining our lives and bringing shame to His name. God will speak to our hearts when we do wrong, but if we do not listen to Him and turn from our disobedience, He will chasten us. How does God chasten us? He chastens us by letting trouble come into our life. When our Heavenly Father chastens us, let us remember that He does this because He loves us. The Bible says, "… whom the Lord loves He chastens…" (Hebrews 12:6). By now I am sure that you have realized that it is very important how you live your life as a Christian. The Bible says that, one day, we must stand before the Lord Jesus to be judged. Every believer will be judged for the things he did after he was saved, whether good or bad. This judgment is called "the Judgment Seat of Christ." 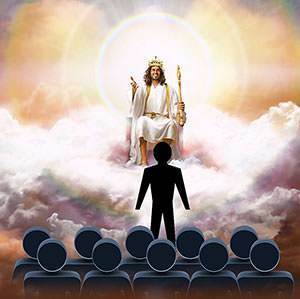 The Bible says, "For we [believers] must all appear before the judgment seat of Christ; that every one may receive the things done in his body…" (2 Corinthians 5:10). This judgment is not to see whether or not we will go to Heaven. Every believer will go to Heaven. This judgment is for rewards. If we have faithfully served the Lord Jesus, this will be a time of great rejoicing for us because we will receive rewards from the Lord Jesus. If we have lived for the "good times" of this world instead of living for the Lord Jesus, we will be ashamed. Perhaps some of us will wish that we could live our lives over again, but that will not be possible. The time to live for the Lord Jesus is now. 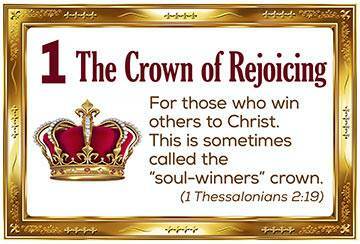 You can be a Soul-winner! Do you know some people who do not know Christ as their Savior? Would you like to win them to Him? Then start praying for them. Tell them about the Savior. 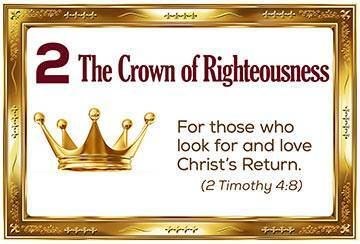 If you win them to Christ, you will be rewarded in Heaven. 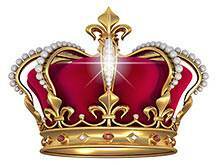 You will receive the Soul-Winner's Crown, and you will shine as the stars for ever and ever. 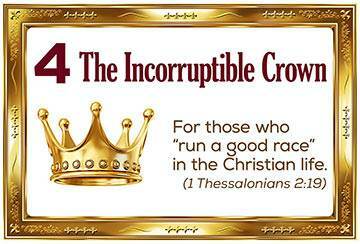 The Bible says, "…they that turn many to righteousness [shall shine] as the stars for ever and ever" (Daniel 12:3).